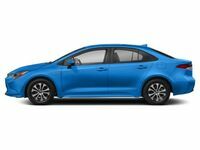 Drivers in the market for a sport-tuned, fun-to-drive compact hatchback will find many options that will fit the bill – options that now include the all-new 2019 Toyota Corolla Hatchback. A replacement for the Corolla iM, the Corolla Hatchback is tailor-made to provide unrivaled adventure at every turn. 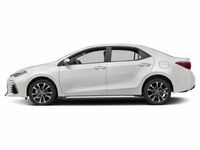 Expected to arrive at Downeast Toyota in the summer of 2018, this 2019 Toyota Corolla Hatchback vs 2018 Honda Civic Hatchback will explore the advantages of the next-generation Toyota Corolla. When the 2019 Toyota Corolla Hatchback arrives at Downeast Toyota, it will be available in two sport-tuned trim levels – SE and XSE – that can tailor performance to fit your lifestyle with an ultra-efficient Dynamic-Shift CVT transmission or a six-speed manual. Armed with Toyota New Global Architecture, the Corolla Hatchback is longer, lower and wider than its predecessor with a bold style and a performance-tuned suspension that create a flawless ride. With room for five passengers and improved cargo space, the Toyota Corolla Hatchback promises to be a fan favorite. What Are the Differences Between the Corolla Hatchback and Civic Hatchback? Are you looking for a fun, fresh and affordable hatchback? 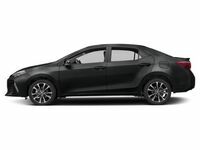 Find the right fit with this 2019 Toyota Corolla Hatchback vs 2018 Honda Civic Hatchback comparison. With an athletic style and wealth of standard features that the Honda Civic cannot match, the Corolla Hatchback promises incredible value with a price tag that starts at just $20,910. Highlights of the Corolla Hatchback spec sheet include an 8-inch Toyota Entune™ 3.0 touchscreen infotainment system, Apple CarPlay, onboard Wi-Fi Connect, Bluetooth, Amazon Alexa capabilities and Toyota Safety Sense™ 2.0 collision-prevention technology – that all come standard. Under the hood, the 2019 Toyota Corolla Hatchback will play host to an all-new 168-horsepower 2.0-liter Dynamic Force Engine that manufactures 151 pound-feet of torque. A standard six-speed Intelligent Manual Transmission provides drivers with do-it-yourself thrills at every turn and will make 28 mpg in the city and 37 mpg on the highway. When equipped with the innovative Dynamic-Shift Continuously Variable Transmission with 10-speed Sequential Shiftmatic technology, the Corolla Hatchback will earn 42 mpg on the highway – numbers that the Civic Hatchback cannot match. With the ability to mimic a 10-speed automatic transmission and armed with Sport Mode and steering wheel-mounted paddle shifters, the Corolla Hatchback promises a thrilling drive. Visit Downeast Toyota this summer and slide into the driver's seat of the 2019 Toyota Corolla Hatchback!